For a while after Kindle Fire came out, owners had no way to set controls that would restrict other users accessing parts of the device. Though hotly debated on many forums (some saying parents shouldn't allow their kids on a Fire), Amazon quite clearly advertises these for children to be able to use & so they should be safe for children to use. Amazon have paid attention and clearly agree that parents should have better safety controls, and after a recent update they have even improved them. 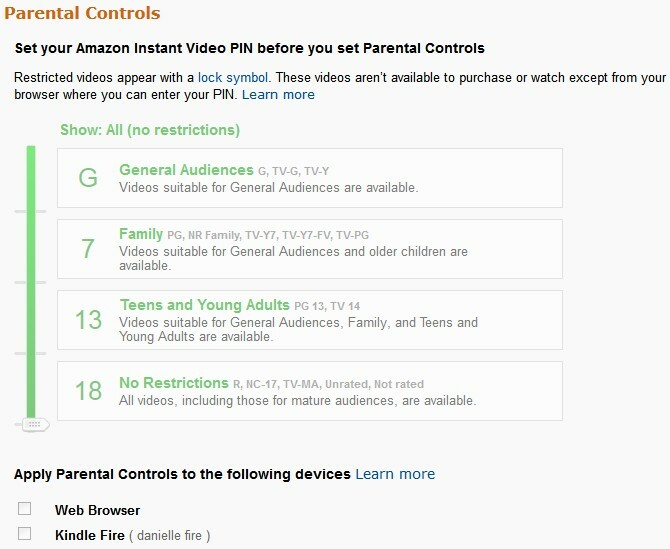 Now you can specify controls for certain parts of the Fire: watching videos, going online, making purchases from amazon. making purchases in apps (such as buying game upgrades). 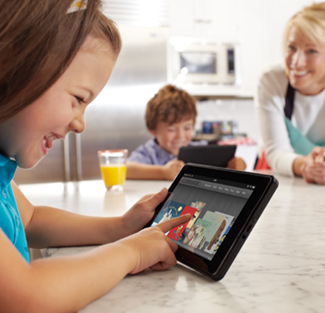 To make sure you have the latest Kindle Fire update, see Kindle Fire updates on Amazon. There are 3 different places set controls, but before we begin, a note - DO NOT forget passwords and pin codes. then More, then Parental Controls. From here you will see several options, tap each one to toggle on or off. 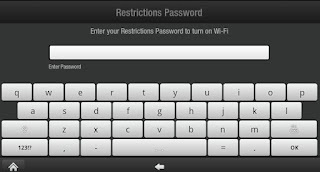 For example, Password Protected WiFi: tap ON to set your password. This means your child can use your Fire and cannot turn on WIFI to access the internet or download anything without you actively entering the password. In-app purchasing lets you purchase items such as new game levels, in-game currency, and subscriptions from certain apps and games. It is enabled by default. tap Apps from the Kindle Fire Home screen and select Store. Option 1) Disable completely: You can use this setting to disable all in-app purchasing on your device. If you have multiple devices, you should configure this setting on each device for which you'd like to disable in-app purchasing. Option 2) Parental Controls: Parental controls are disabled by default. 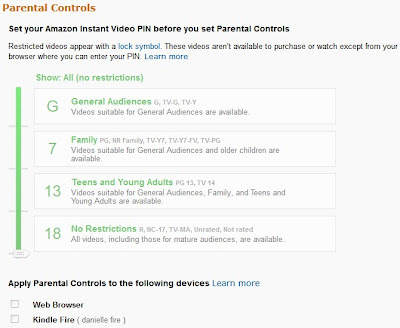 You can enable parental controls for in-app purchases, which will require your Amazon account password or a 4-digit PIN to purchase in-app items. You can tap the Use Pin checkbox to use a 4-digit PIN instead of your Amazon account password. If you have multiple devices, you should enable this setting on each device that you'd like to be enabled with parental controls. Help! I forgot my Kindle Fire PIN and I need to reset it!! Tap the Menu icon, select "Settings" and tap "Parental Controls." From within the parental controls settings, tap "Change/Reset PIN" and then select "Forgot PIN?" You'll be prompted to enter your Amazon.com password and then can reset your PIN. Great, they are definitely needed on these devices. The only thing I'd like to see now is some kind of rating guidelines on books too... not any kind of censorship but a similar guideline as movie ratings - even if the authors select it themselves when they select the book category. Then I'd be more comfortable letting my kids lose in the kindle store for the free books! They are pretty sensible but i) they are teens, say no more, and ii) sometimes the content comes was a surprise so even if sensible and trustworthy, it still happens.